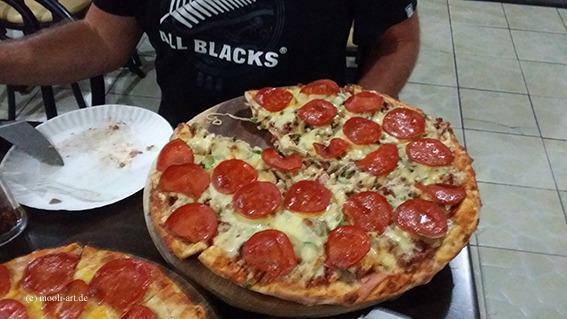 Located near the Plaza Pinos soccer field in Grecia, Hernan excels in American pizzas. Though Costa Rica is known for its shortage of excellent pizzas, this restaurant offers the best. So, the travelers and the locals who have dined at this restaurant have fallen in love with this place in such a way that they keeping returning for more, whenever they have time. With that said, if you are looking for delicious yet affordable pizzas, this place has you covered. All you need to do is go and enjoy. If you have no time to stop by, the staff can get your order delivered in a timely manner. And of course, if you are living there, you must have visited them more than once and recommended it to all your family and friends. It is one of the best options if you are looking forward to trying some delicious Costa Rican food. It is one of the best places in the area that serves Central and South American and local Costa Rican food. If you are looking forward to some tasty delicious Costa Rican food and happened to choose “Estres”, it definitely won’t disappoint you. And if you are still hesitant whether to go or not, we got your back. They serve all types of Central and South American foods as long as the traditional Costa Rican food. If you are visiting Grecia, you wish to have a delicious and healthy meal, you should visit MAS Q SABOR restaurant. some people say that California Mexican restaurants are the best around the world. This restaurant will completely blow up this idea. The meals, they offer will completely blow your mind, definitely, you will love them. They offer a great variety of good meals. If you look forward to having a great Latin meal with these local special gradients, you have come to the right place.